Frans Coenen has a general background in AI, and has been working in the field of data mining and Knowledge Discovery in Data (KDD) for the last fifteen years. More specifically with respect to the many elements that comprise the research domain of Data Mining and Big Data Analytics as applied to unusual data sets, such as: (i) graphs of all kinds including social network data; (ii) time series such as sound waves for the purposes of identifying patterns and trends; (iii) free text of all kinds, but particularly legal texts, not just for data extraction purposes but also with a view to learning ontologies; (iv) 2D and 3D images, especially medical images and (v) video data. He is also interested in data mining using (homomorphically) encrypted data. He currently leads a small research group (8 PhDs and 4 RAs) working on many aspect of data mining and KDD. 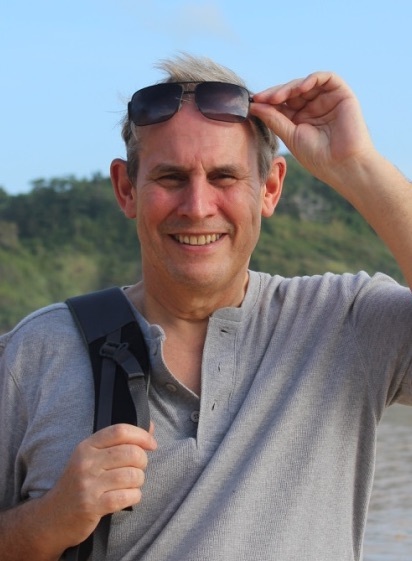 He has some 380 refereed publications on KDD and AI related research, and has been on the programme committees for many KDD conferences and related events. He is pleased to have been the founder of the UK KDD symposia series, which is now in its twelfth year. He is cirrently the director for the University of Liverpool Center for Doctoral Training in AI for Future Digital Health. Frans Coenen is a member of The British Computer Society (BCS) and the BCS' Specialist Group in AI (BCS-SGAI). He has been chair and deputy/technical programme chair for the BCS-SGAI AI series of conference. Frans Coenen is currently professor within the Department of Computer Science at the University of Liverpool where he is the director for the University of Liverpool Center for Doctoral Training (CDT) in AI for Future Digital Health, and director of studies for the department's on-line MSc programmes. Hong Zhu obtained his BSc, MSc and PhD degrees in Computer Science from Nanjing University, China, in 1982, 1984 and 1987, respectively. He worked at Nanjing University 1987 to November 1998. From October 1990 to December 1994 while on leave from Nanjing University, he was a research fellow at Brunel University and the Open University, UK. He joined Oxford Brookes University, UK, in November 1998 as a Senior Lecturer in Computing and became a Professor of Computer Science in October 2004. Prof. Zhu chairs the Applied Formal Methods Research Group of the Department of Computing and Communication Technologies. He is a senior member of IEEE Computer Society, a member of British Computer Society, ACM, and China Computer Federation. His research interests are in the area of software development methodologies, including formal methods, agent-orientation, automated software development, foundation of software engineering, software design, modelling and testing methods, Software-as-a-Service, etc. He has published 2 books and more than 180 research papers in journals and international conferences. He has been a conference program committee chair of SOSE 2012 and ICWS 2015, etc., a conference general chair of SOSE 2013, MobileCloud 2014, MS 2016, EDGE 2017, etc. He is a member of the editorial board of the journal of Software Testing, Verification and Reliability, Software Quality Journal, International Journal of Big Data Intelligence, and the International Journal of Multi-Agent and Grid Systems. Fatih Kurugollu obtained BSc and MSc in Computer and Control Engineering degree from Istanbul Technical University, Turkey, in 1989 and 1994, respectively. He was awarded with a PhD degree in Computer Engineering from the same university in 2000. He was employed as a research fellow by the Marmara Research Centre, which is the main governmental research unit of the Turkish Scientific Research Council (TUBITAK) in 1991. At Marmara Research Centre, he was engaged into several military and industrial research projects as well as academic ones. He was promoted to senior research fellow and worked as sub-project leader in a number of military based security projects that most of them were classified. He joined the School of Electronics, Electrical Engineering and Computer Science at Queen’s University, Belfast, in 2000, initially as a Post-Doctoral Research Fellow. In 2003, he was appointed to a lectureship at the same department and later on was promoted to Senior Lecturer in Computer Science. He is now a full Professor of Cyber Security at University of Derby. His current research interests are centred around Security and Privacy in Internet-of-Things, Cloud Security, Imaging for Forensics and Security, Security related Multimedia Content Analysis, Big Data in Cyber Security, Homeland Security, Security Issues in Healthcare Systems, Biometrics, Image and Video Analysis. He has been principal investigator and co-investigator of several projects funded by EPSRC, Royal Academy Engineering (RAEng), Leverhulme Trust, Action Medical Research as well as principal supervisor of KTP projects. He has supervised 11 PhD projects and he has authored more than 130 publications. He is Senior Member of IEEE, Member of Associate College of Engineering and Physical Sciences Research Council (EPSRC), Fellow of the Higher Education Academy (HEA), Voting member of IEEE Communication Society Multimedia Communications Technical Committee and Affiliate member of IEEE Signal Processing Society Information Forensics and Security Technical Committee. He has strong industrial experience through KTP projects and industrial based research activities. He has been recently awarded with Industrial Secondment Fellowship, in which he spent one year in Titan-IC Systems to conduct an industrial research project, by RAEng.